It is a secret the Chinese government has been keeping for 40 years. They have proven the existence of dragons - a landmark discovery no one could ever believe is real and a scientific revelation that will amaze the world. Now the Chinese are ready to unveil their astonishing findings within the greatest zoo ever constructed. A small group of VIPs and journalists has been brought to the zoo deep within China to see these fabulous creatures for the first time. It is the greatest bounty hunt in history. There are 15 targets, the finest warriors in the world, commandos, spies, terrorists, and they must all be dead by noon, today. The price on their heads: almost $20 million each. The year is 1546, and Suleiman the Magnificent, the powerful and feared sultan of the Ottoman Empire, issues an invitation to every king in Europe: You are invited to send your finest player to compete in a chess tournament to determine the champion of the known world. Thousands converge on Constantinople, including the English court's champion and his guide, the esteemed scholar Roger Ascham. 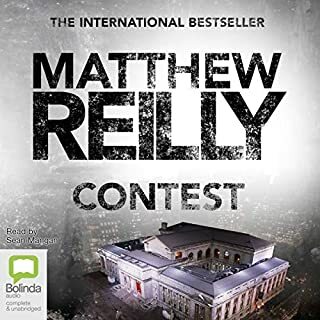 After their thrilling exploits in Matthew Reilly's rampaging New York Times best-seller, 7 Deadly Wonders, supersoldier Jack West Jr. and his loyal team of adventurers are back, and now they face an all-but-impossible challenge. 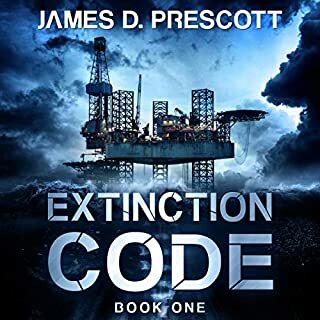 A mysterious ceremony in an unknown location has triggered a catastrophic countdown that will climax in no less than the end of all life on Earth. 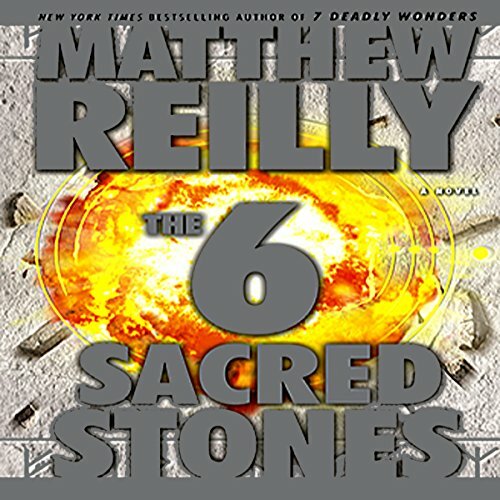 But Jack and his team might be able to ward off the coming Armageddon if they can find the fabled Six Sacred Stones, which hold clues to a legendary ancient device long lost in the fog of history. 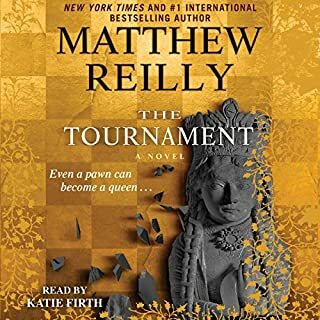 As the hunt begins, Jack and his team discover that they are not the only ones seeking the Stones...and that there might just be other players out there who don't want to see the world saved at all. 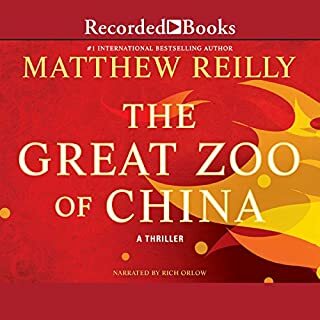 From Stonehenge in England to the deserts of Egypt to the spectacular Three Gorges region in China, The 6 Sacred Stones will take you on a nonstop rollercoaster ride through ancient history, modern military hardware, and some of the fastest and most mind-blowing action you will ever hear. ©2008 Karandon Entertainment (P)2008 Simon and Schuster, Inc. I hate abridged books - half the story disappears!! While I enjoyed the book I was upset to find out it was a cliff-hanger. I think we should be informed if a book is part of a collection. Entertaining, somewhat predictable story. I am not sure what happened to the rest of the story, but this baby ends part way through. 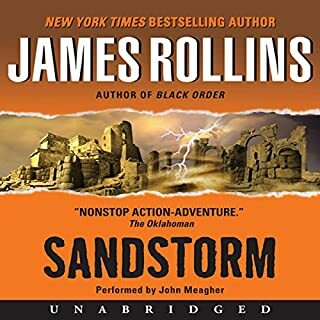 I thought something was missing from my Audible file. So for that reason I have to give it a below average rating. So where the heck is the rest of the story??? ...And it delivered. This is a classic Matthew Reilly style book - Indiana Jones-ish... must suspend disbelief in order to "enjoy". Yes, written for a middle-school gamester boy. I am neither but I just wanted something to listen to in the car and at the gym. It was Fine for that. Nothing heavy. I really liked the voice of the narrator - he did a good job with the material. Completely fluffy, but sometimes you buy junkfood for the brain. Thats OK as long as you weren't expecting haute cuisine or Proust. I was rather disappointed that it was only 1/3 of a book though. I mean, although I can pretty much probably write the rest of the plot at this point myself....it would be nice to have closure. I tried to get into the book after reading its former work The 7 Ancient Wonders, but this was a little unbelievable for me. I know it is fictional, but the characters seemed too much like super beings instead of regular human beings in an extraordinary experience. Now I am reading the 5 Greatest Warriors. Hopefully this is a litlle more credible. This is one of my favorite series. cutting out parts does a disservice to this great book. I am disappointed, especially since there was no indication this was an abridged version and there is no unabridged option. This book, in its entirety, should be longer than 6-7 hours. Even though I love this series, this version only gets 3 stars as it is an abridged version. It is not labeled that it is abridged either. I have read the book and as I was listening to it I realised parts were cut out. The unabridged version is much better. Great story, horrible narration. Malcom whispers Wizard's parts and I could not hear it while driving. What was one of the most memorable moments of The 6 Sacred Stones? None. I shut it off as I could not hear a primary character dialogue. Would you be willing to try another one of Graeme Malcolm’s performances? No. Tonal inflection and accents should be used to denote different characters, not spoken volume. If you could play editor, what scene or scenes would you have cut from The 6 Sacred Stones? None. It is a great story. This book was a great disappointment! We listen while we drive and as such the narrator must speak with a constant volume so I can hear all the parts. 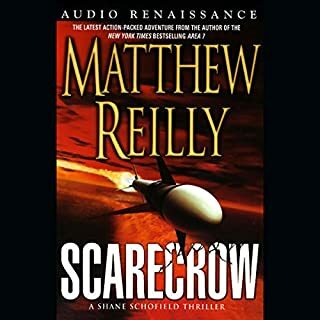 The plot would make an excellent action movie, but as an audiobook it is hard to keep up with the characters and story.